MALVERN Theatres is hosting Bill Kenwright’s stage production of the Oscar-winning film Rain Man starring Tom Cruise and Dustin Hoffman, writes Louise Newton. 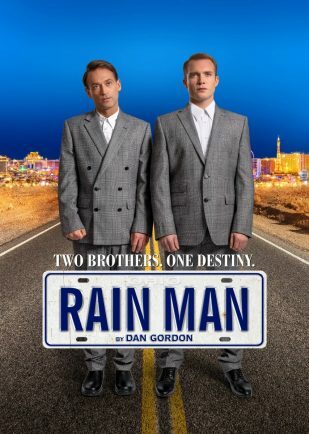 Two long-lost brothers embark upon a trip across America, one of them is an autistic savant who has inherited a family fortune, the other is a self-centred salesman who’s trying to get ‘his half’ of his brothers wealth. Ex-Eastenders and Law and Order actor, Paul Nicholls, and ex-Hollyoaks and Coronation Street actor, Chris Fountain, star in this heartwarming, witty, and thought-provoking story. The play has been adapted by Kenwright’s Classic Screen to Stage Theatre Company and following a successful first year has been extended to dates in 2019. Performances will take place next week, from Tuesday until Saturday, February 5 to 9. Tickets are available at malvern-theatres.co.uk or by calling 01684 892277.